We're going to learn all about Apple's upcoming iPhone next week on September 9, but a handful of newly leaked photos have already shown us exactly what the phone looks like. The new iPhone, believed to be called the iPhone 6S, will look nearly identical to the iPhone 6 — but with a slightly thicker body, according to a new leak from MacRumors. 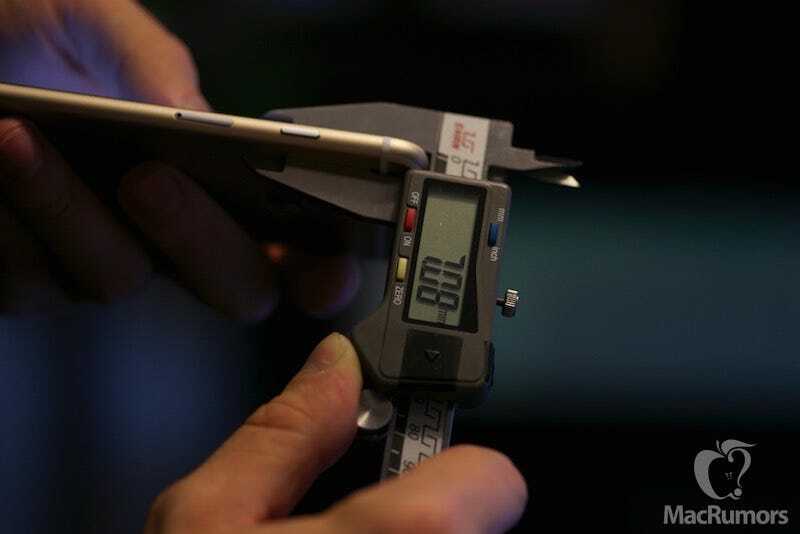 The publication posted a set of photos that claim to show a fully assembled iPhone 6S being measured for thickness, height, and weight. Here's a look at the pictures, which MacRumors claims to have obtained from an anonymous source. This is the second time photos of an assembled iPhone 6S have appeared online — MacRumors also posted a video last month that showed an assembled iPhone 6S with enough functional components to briefly power on the screen.  These new images give us a better look at the phone, however, since the previously published video was a bit dark. 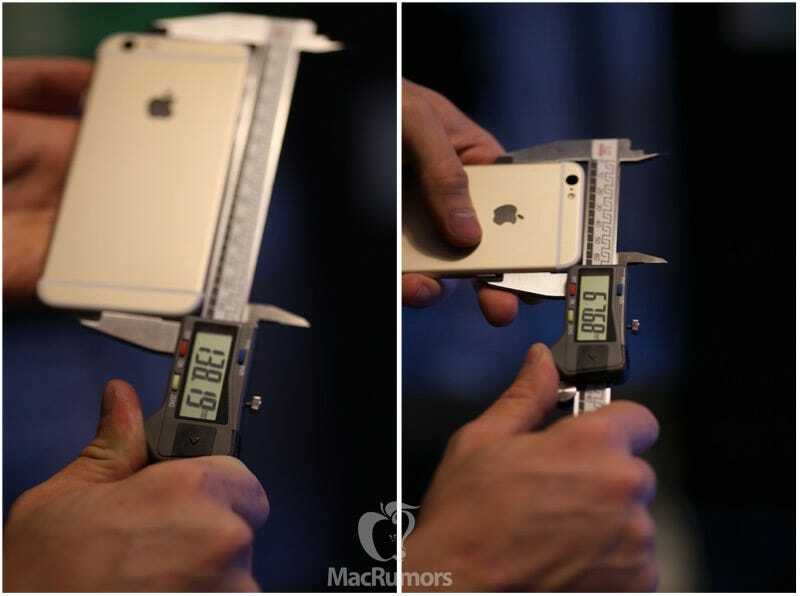 The new iPhone 6S will reportedly measure 138.19 x 67.68 x 7.08mm, which makes it just a bit thicker, taller, and wider than the 138.1 x 67 x 6.9mm iPhone 6, according the report. It seems like the difference in size will be barely noticeable to the everyday user. We've heard rumors in the past that the next iPhone will be slightly thicker in part because it's expected to have a more durable design, and a new screen with Apple's Force Touch technology built in. The most noticeable physical change between the iPhone 6 and iPhone 6S will likely be the new rose gold color option that's said to be available for the new phone, as 9to5Mac's Mark Gurman previously reported. Other than these new additions, the iPhone 6S is also expected to feature a better 12-megapixel camera, a faster processor, and more memory in addition to other changes.